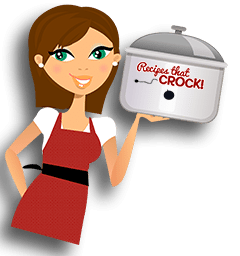 How to Cook Rice in a Slow Cooker: Tips for Success - Recipes That Crock! Have you ever tried cooking rice in your slow cooker? Have you maybe had some issues? Has your rice turned out mushy? 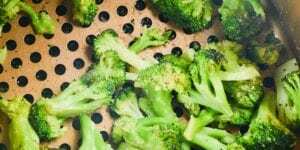 Has it turned out crunchy? Or maybe you’ve had mushy and crunchy rice in the same dish! 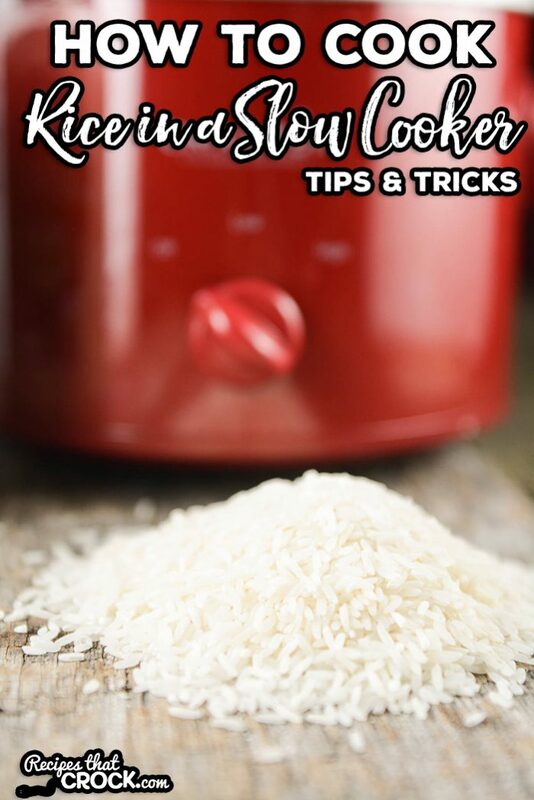 I can help with How to Cook Rice in a Slow Cooker: Tips for Success! Cris teases me that I am the Rice Queen. I remind her that I am just the princess in this here cRockin’ kingdom. 😉 Why is that my dear big sister calls me the Rice Queen? Welp, I love rice…a lot…one of my favorite recipes that I first had at Mamaw and Papaw James was Chicken and Rice. I grew up loving rice for breakfast. I just love rice. 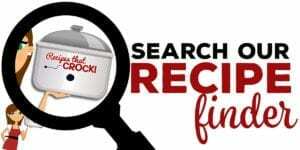 So when we started this here cRockin’ site, I couldn’t wait to try cooking rice in my crock pot! Much to my dismay…it is hard! 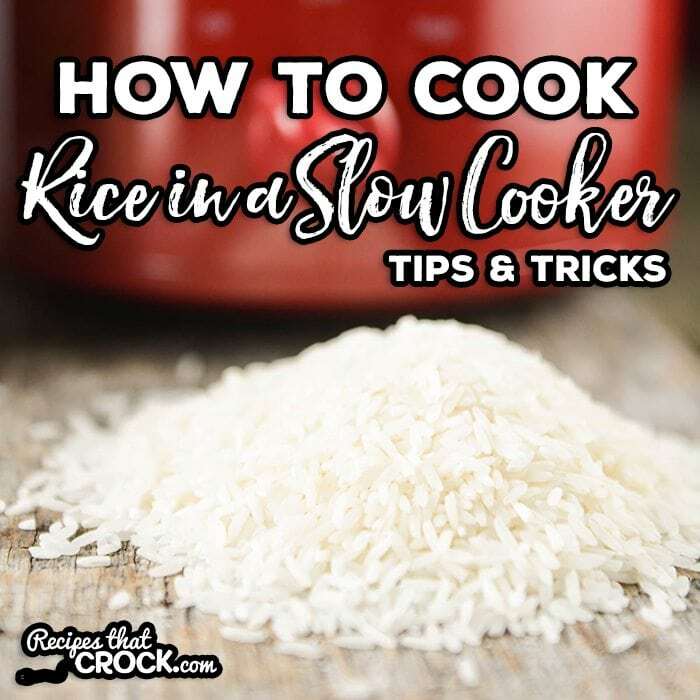 I have many trials and flops along the way, but all that comes together so that I can help you, dear readers, know How to Cook Rice in a Slow Cooker! Make sure you are using the correct rice. If a recipe calls for long cooking or long grain rice, minute rice or quick cooking rice will not work. If you are not sure if the rice you are looking at in the grocery store is long cooking rice, check the cooking directions. 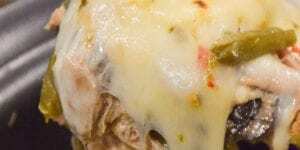 If the directions tell you to cook it on your stovetop for 15 minutes or more, then you are good. So now that you have the correct rice, let’s talk slow cookers. You have to know your slow cooker folks. You do NOT want to try out a rice recipe in a new crock pot that you don’t know extremely well. I cook almost all of my rice recipes in Sir Hamilton (Hamilton Beach Programmable Insulated Slow Cooker). The reason for that is that I know Sir Hamilton very well. He doesn’t have any hot spots. I know how he cooks. It makes cooking rice in my crock pot a whole lot less stressful and ensures my rice dishes come out delicious. If your rice is crunchy, that means your crock pot isn’t cooking hot enough to cook the rice in the amount of time that is recommended. So, you will need to extend your cooking time a bit, watching it very closely to make sure that you get your rice done, but not mushy…or choose another crock pot. If your rice is mushy, that means your crock pot is cooking too hot for the amount of time that is recommended by the recipe. You will need to start watching your crock pot early so that you can figure out how long it takes for your rice to get done. 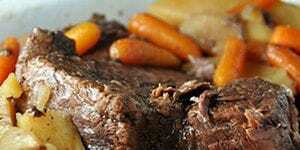 Make sure you use a meat thermometer in all cases to make sure any meat you are cooking is done. Now for the kicker….if you have crunchy and mushy rice all in the same crock, you have a crock pot that doesn’t cook evenly. You have a couple of options for this kind of issue. 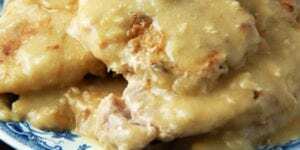 You can try out turning your crock at least once, maybe more depending on how bad the hot and cold spots are, while you are cooking your recipe. Or choose another crock pot. I can’t emphasize enough how important it is to use your tried and true slow cooker when you are cooking rice. I wish you could just use any ol’ (or new) crock pot and everything would work out perfectly, but rice likes being special like that. If you have used your tried and true crock pot, adjusted the time, and your rice is still coming out crunchy or mushy, don’t worry there is still hope. If your rice is still crunchy after trying the tips above, add a smidge more liquid (the quantity will depend on how crunchy your rice is). This will give your rice the extra moisture it needs to plump up and be tender. If your rice is still mushy after trying the tips above, reduce the liquid a smidge (again, the quantity will depend on how mushy your rice is turning out). This will take away the extra moisture that is taking your rice from plump and tender to mushy mess. 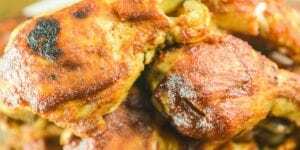 However, if you have crunchy and mushy rice, have tried the tips above and still have the same results, then you will need to use a different crock pot. So there you go folks! I hope these tips and tricks will help you in your cRockin’ rice ventures! Am I missing something here? There is no indication of how long to cook. Are you suggesting I use the same time in the package instructions as if I was boiling the rice on the stove? So sorry for the mix up. If you are looking for rice recipes below are a few. The reason I wrote the post was for those that struggle with rice recipes not turning out well.